Motorola India has announced that the Moto G5s Plus will be launched on August 29th in the Country. The company's official Twitter account was the source, and a registration page has been made available on Amazon India's website, which has some images of the device. That is not exactly surprising considering that the phone has been launched in Europe and the U.S. 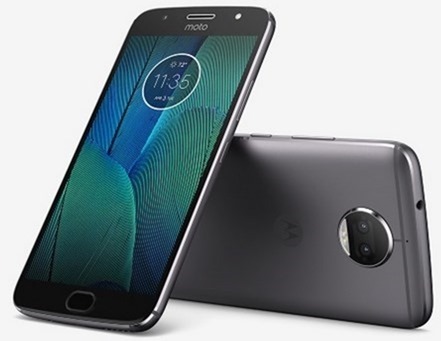 The Moto G5s Plus, is an upped variant of the G5 Plus, and boasts 13 megapixels dual rear cameras, with support for 4K video recording, 8x zoom, and an 8 megapixel selfie lens with a front facing LED Flash. The G5s Plus is powered by a Qualcomm Snapdragon 625 processor with 3GB/4GB of RAM, 64GB of storage. The device features a 5.5-inch Full HD 1080p display and a fingerprint scanner on the front panel. The phone packs in a 3,000 mAh battery, and runs on Android 7.1 Nougat. But based on Motorola’s history, we can expect an Android 8.0 Oreo update in a few months along with the rest of the current gen Moto devices. The Moto G5s Plus will be sold exclusively via Amazon India. The device retails for about $350 which translates to around Rs. 20,000. So we can expect a similar price in India.